Come check out a book from the Browsing Collection, in front of the Information Desk in the Library. 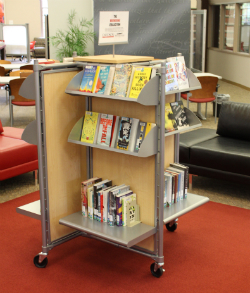 The browsing collection includes popular fiction and non-fiction, available for a 21-day loan period. 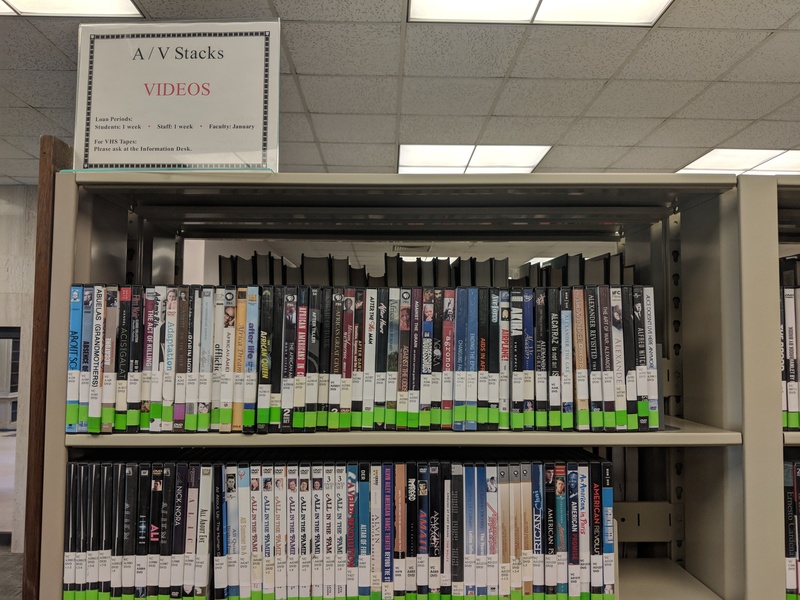 The DVDs have moved from the first floor to the second floor, at the top of the stairs near the Davidsoniana Room. Looking for the Microfilm Readers? 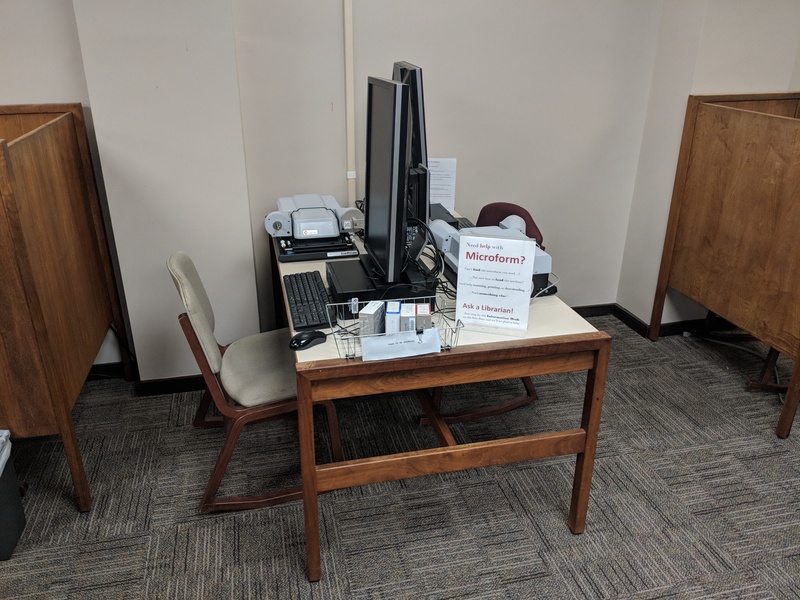 The microfilm readers have been moved from the first floor to the basement, and are now conveniently located next to the microfilm (on the stadium side of the Library). 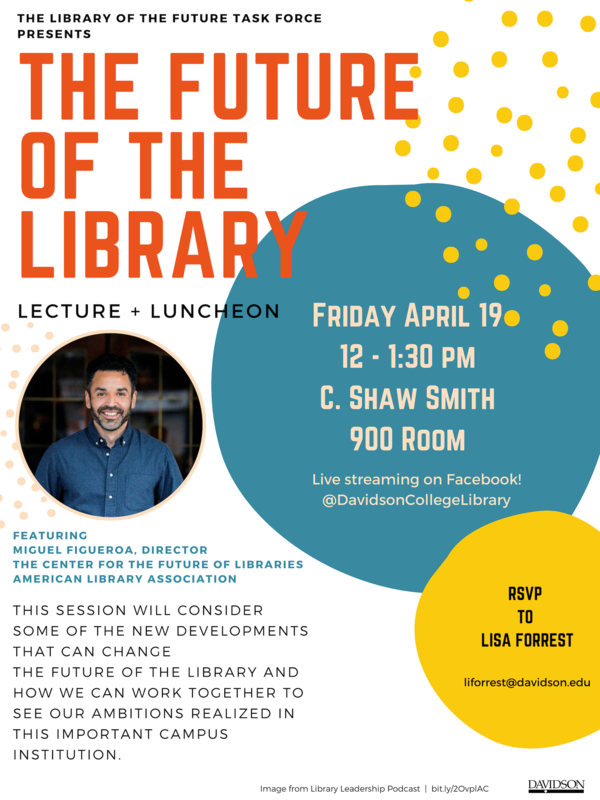 Join the Future of the Library Taskforce for a special event on Friday 4/19 at 12 pm in the 900 room. This talk will feature Miguel Figueroa from the Center for the Future of Libraries from the American Library Association. Please rsvp to liforrest@davidson.edu. 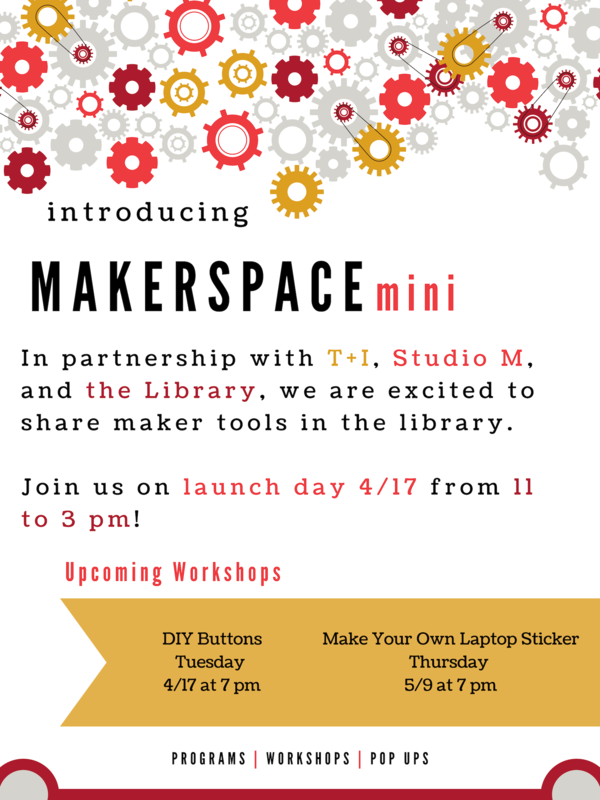 The Library, T + I, and Studio M are pleased to announce that maker tools will be available in the library. Join us for two pop up programs on 4/17 and 5/9 to DIY a button and vinyl sticker. 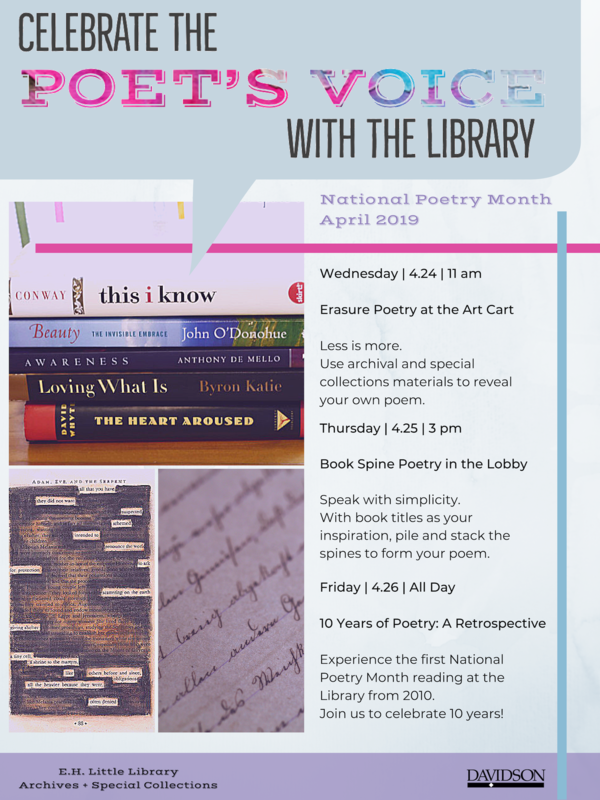 Celebrate the Poet's Voice with the Library! Celebrate National Poetry Month from 4/24 to 4/26 with special events, treats, and displays. Please fill out the form below to make an appointment with a research librarian or archivist.